Brig.-Gen. Suleiman Kazaure, Director General, National Youth Service Corps (NYSC), has admonished corps members that would take part in the 2019 general elections to display high sense of integrity. Kazuare gave the warning on Saturday while addressing 2018 Batch â€˜Câ€™ Stream 1 corps members at the Oyo State NYSC Orientation Camp in Iseyin. 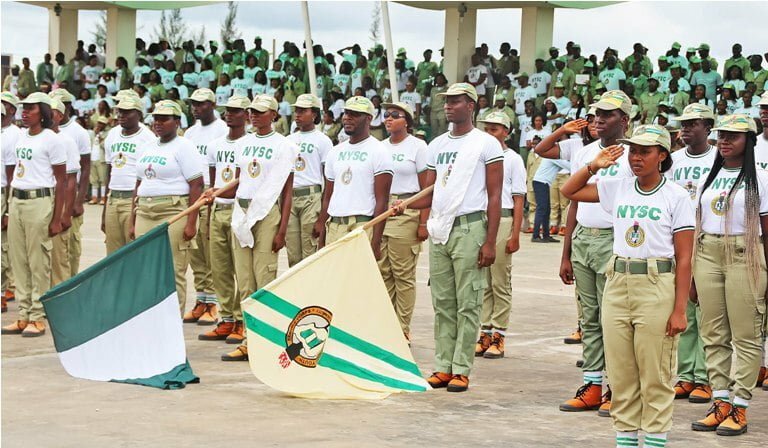 A statement by Mrs. Christy Olatoye, Assistant Director, Public Relations, NYSC Oyo State on Sunday, quoted the DG as reminding the corps members that the NYSC as a non-partisan organisation. Kazaure was represented by the Director Planning, Research and Statistics, Mrs. Victoria Okakwu. â€œWhen you are called upon, with discipline and steadfastness, ensure that you put in your best and at the end your name will be written in the sand of time. â€œAs corps members, who are part of the Big Family (NYSC), you should be celebrated having graduated from the various institutions which qualifies you to be mobilised for the one year mandatory service to the fatherland. â€œI want you to be happy being a part of this great family which from inception had not relented on its efforts in building and incorporating young vibrant graduates into the plan of nation building. â€œThe Management celebrates you our dear corps members; we see in you the future great Dangotes and Otedolas. â€œYou are advised to embrace hard work and good virtues that will elevate you to the top,â€ he said. The NYSC boss also enjoined the corps members to embrace the Skill Acquisition and Entrepreneurship Development (SAED) programme by acquiring skills that would turn them to employers of labour and wealth creators. Lol...he said "family of NYSC"